Cover of Jazayeri, Early Arabic Kufic Calligraphy: Surat al-Mulk (Blautopf Publishing, 2015). Iranian calligraphy master Seyed Mohammad Vahid Mousavi Jazayeri is on a mission to revive the magnificent but now largely unpracticed art of Kufic Arabic calligraphy, and has chosen as his subject the text of the Qur’an, the original inspiration for the development of Kufic calligraphy in Islamic manuscript traditions and decorative arts. 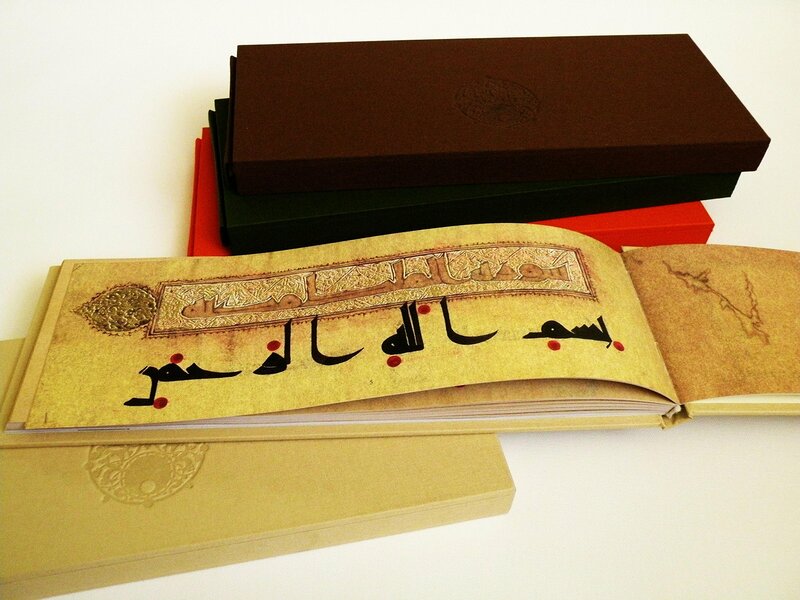 In collaboration with master illuminator Jamshid Sarhaddi, his new limited-edition book, Early Arabic Kufic Calligraphy of Mousavi Jazayeri: Surat al-Mulk, is the first in a planned series of books devoted to qur’anic sūrahs that will eventually comprise a complete contemporary copy of the Qur’an in this ancient script. Calligraphy of the opening of Sūrat al-Mulk, including the title of the sūrah and the basmalah. With its strong horizontal lines and sparsity of words per page, Mousavi Jazayeri’s rendering of Sūrat al-Mulk resembles the sort of medieval Qur’an manuscript typically given as waqf (religious endowment), yet it is distinctive in the way that letter groups are evenly spaced and words flow beyond the ends of lines and pages, giving his rendering a remarkably seamless style. A master calligrapher, type designer, and graphic designer, Mousavi Jazayeri has spent years visiting archaeological sites, historic buildings, cemeteries, mosques, libraries, and museums to study the material culture of Kufic Arabic. 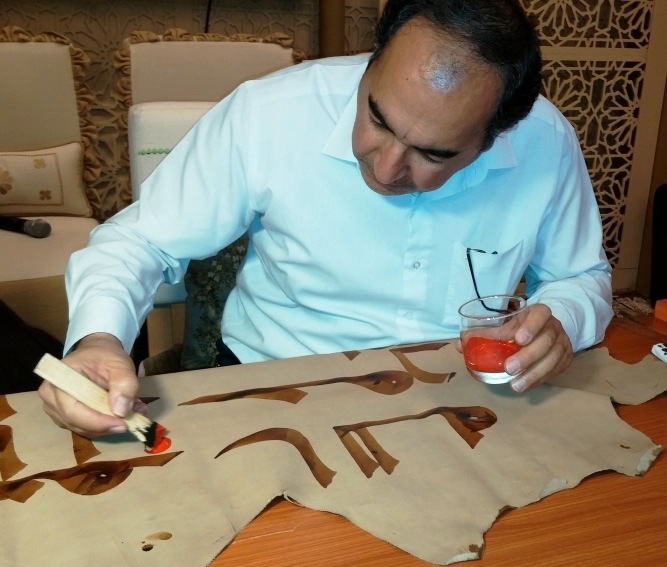 S. M. V. Mousavi Jazayeri dotting a Kufic manuscript during a workshop at the 2015 Abu Dhabi International Book Fair. All images courtesy of Kuficpedia. 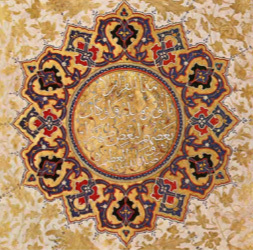 In the course of his studies he rediscovered a forgotten technique for cutting the calligraphic pen (qalam) for primary Kufic, and by adopting this technique in his own work he is able to create pieces that are reflective of the rich history of the calligraphic arts. He has put on a number of well-received exhibitions and workshops, most recently a workshop at the 2015 Abu Dhabi International Book Fair. The publications and workshops of Mousavi Jazayeri are part of Kuficpedia, an ongoing collaborative project with an international group of scholars and designers who share an interest in the Kufic script. 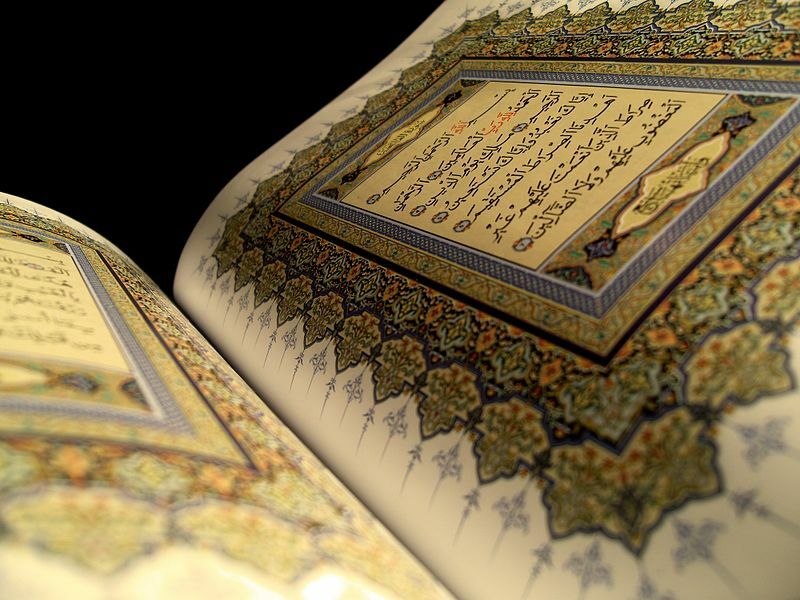 In the latest installment of IQSA’s Review of Qur’anic Research 1, no. 4, Dr. Michel Cuypers reviews Anne-Sylvie Boisliveau’s La Coran par lui-même: Vocabulaire et argumentation du discours coranique autoréférentiel (Leiden: Brill, 2014). 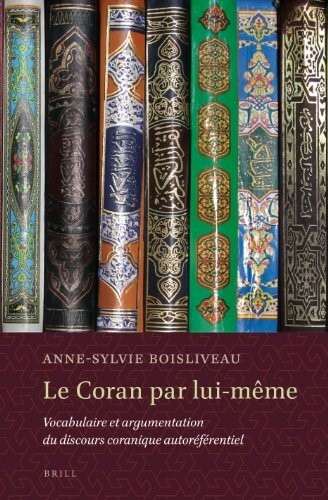 The book is the latest and fullest study of “what the Qur’an says about itself.” Situated within the current of synchronic studies of the Qur’anic text, Boisliveau’s approach combines the ancient exegetical principle of explaining the Qurʾan by the Qurʾan with a rigorous modern critical method.